Celebrate Christmas with your favourite dirt bike enthusiast with these great special offers. Simply place Issue 76 and one back issue in your cart and the special price will be automatically calculated. Simply place two back issues in your cart and the special price will be automatically calculated. Note that Issue #76 is not included in this offer. 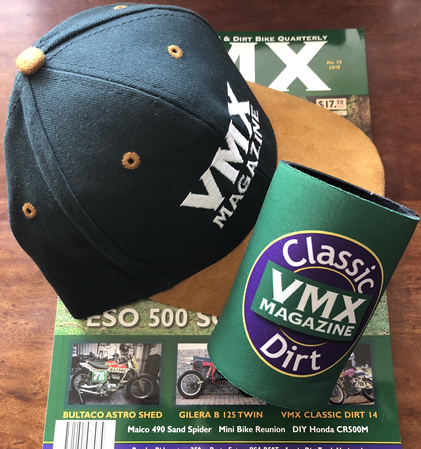 New issue #76 + VMXMag Signature Cap + VMX Magazine Classic Dirt Stubby Holder (shipping incl). 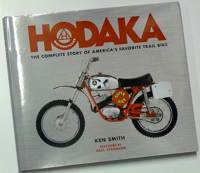 This hardcover book has taken almost fifteen years to come to completion. Written by VMX Magazine Editor, Ken Smith, the story could only now be told in its entirety thanks to the stories shared by many of the original PABATCO employees and the access that was given to their photo libraries. Buy a one-year subscription gift card for your favourite vintage dirt biker! 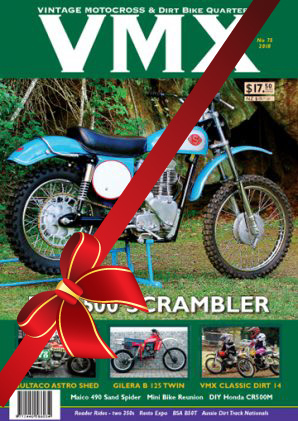 The gift card is valid for 4 issues of VMX magazine commencing with the current issue at time of order.